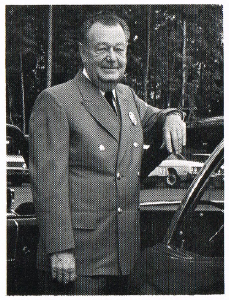 There was a special feature on the Reedy Creek Fire Department in the July 29, 1972 Eyes and Ears newsletter from Walt Disney World. There’s a lot of interesting information about how the department functioned on a daily basis, as well as the technology involved. Disney was still promoting how technologically advanced Walt Disney World and how the philosophies of EPCOT Center were being used at the time. Walt Disney World honors the current chief of the Reedy Creek Emergency Services Department with two tributes (or Five Legged Goats) in the Magic Kingdom. 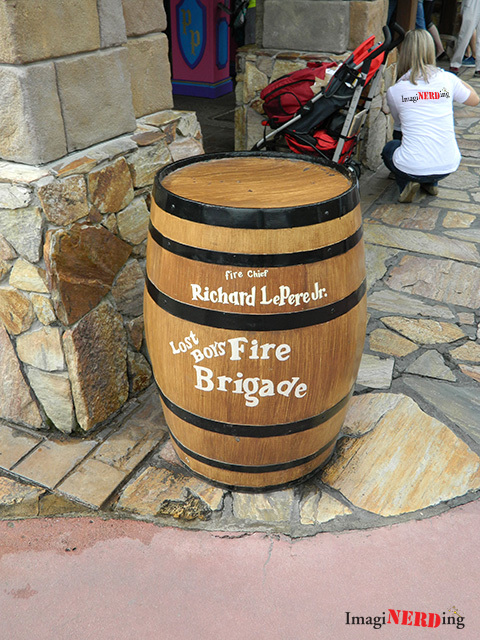 Fire Chief Richard LePere, Jr. and the Lost Boys Fire Brigade is located outside the queue for Peter Pan’s Flight. If you lift the barrel, you’ll find a fire plug. It makes it easier for emergency services to find it, if needed. 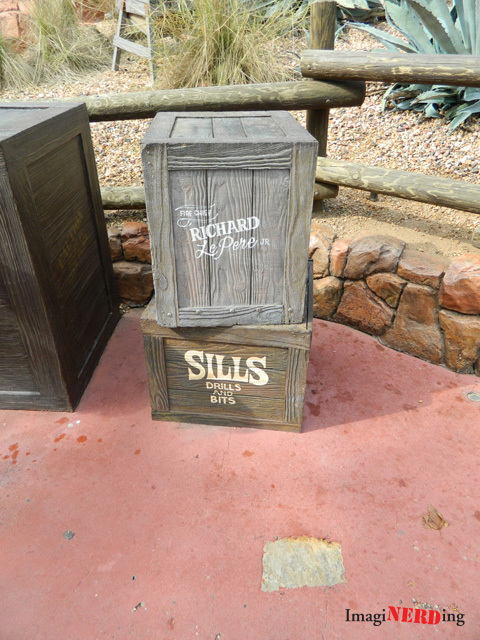 There’s a second tribute to LePere in Frontierland, between the queue and exit for Big Thunder Mountain Railroad. 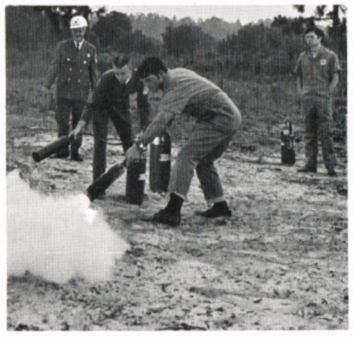 Let’s take a look back at the Reedy Creek Fire Department! 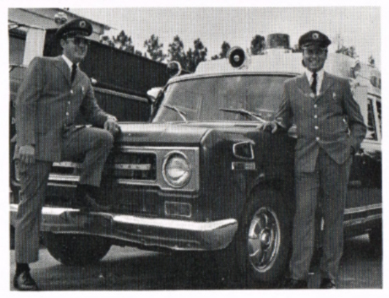 EDITOR’S NOTE: In an expanded issue, EYES & EARS visits our Reedy Creek Fire Department, created in August of 1968. This department provides “24-hour-a-day” service for fire protection, rescue, first aid and ambulance service for the Vacation Kingdom. Control of the facility lies with a top notch corps of officers and the Board of Supervisors of the Reedy Creek Improvement District, Joe Potter, President. This is one in a series of in-depth picture features on places of interest in Walt Disney World. Additional stories are upcoming in future issues of EYES & EARS. Mornings often start with intensive training sessions in a classroom atmosphere. Classes may sometimes last for hours, depending on the day’s material. All instruction is handled by qualified trainers who can offer a lecture on rescue techniques that may one day save a life, or in fire truck upkeep and maintenance. Here, Assistant Chief Randy Greene discusses wind effects on forest fires. Under the experienced leadership of Chief Paul Pennington, a former Orlando fire chief, three shifts of firemen, each working 24 hours with 48 hours off, stand a constant watch for fires and emergencies at Walt Disney World. Chief Pennington, a fireman for over 40 years, recently stepped down as President of the Southeastern United States Fire Chiefs Association. 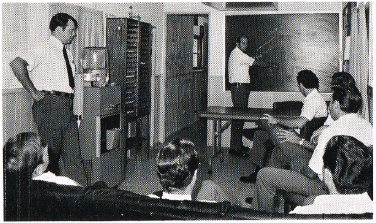 The classroom is often moved outdoors for actual experience in almost any emergency situation the firemen can face. Chief Al Hogan (left) works with Frank Repass of our STOLport in controlling a fire similar to one that could result in an airplane mishap. Reedy Creek firemen often use out-of-the-way places for regular practice on equipment and hoses. Essential to a successful department is its equipment. Our present fleet consists of two 1,250 GPM pumps, two woods trucks, one 1,250-gallon tanker, one boat, one rescue vehicle and three service trucks for emergency investigations and inspections. Firemen can stop whatever they’re doing, hop into firefighting gear, jump in their trucks and be on their way 15-20 seconds after an emergency call is received at headquarters! The heart of any effective department is its communications center. 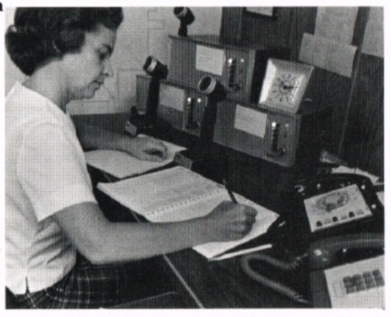 Mary Johnson keeps a watchful eye on an array of ultra-modern equipment including the AMCS (Automatic Monitoring Control System), a computerized alarm system that can detect gas and smoke and signal headquarters by printing out the exact location in a matter of seconds. All trucks, vehicles and men are under continual radio communications with Mary who also answers incoming emergency calls. In addition to providing complete fire protection, our fire department has 24-hour ambulance service by a crew of trained professionals. Richard Roney (left) and Dariel Elliott are two of several men who have completed Emergency Medical Technician courses. Using the latest in first aid equipment, guests and employees are just seconds away from help. Many patients are taken to the Orange Vista Hospital on SR 535 adjacent to the City of Lake Buena Vista. The men actually live at the fire department for a complete 24-hour day while on duty. 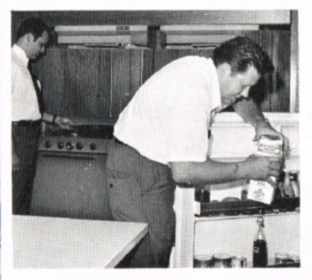 Dariel Elliott (left) and Bud Cariel pause a few moments to quickly prepare lunch in one of five large trailers that serve as temporary headquarters south of the Central Energy Plant. “Life is quite different here than at any job…we’re a team, working, eating and living together,” one fireman said. After a hard day’s work, a little relaxation is a welcome break indeed! 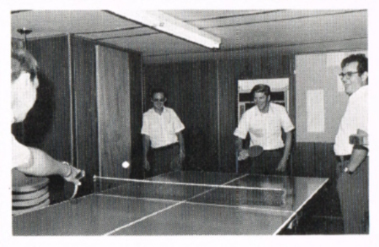 An occasional card or checkers game, television or even a game of ping pong becomes a “community project.” From left to right, Richard Roney, Ken Perry and Lt. Charles Brown take part in the fun waiting for the next class or call. “You can never tell what’s gonna happen next, I love it, it’s in my blood,” a fireman said. Have you ever seen the Reedy Creek Emergency Services buildings at Walt Disney World? Eyes and Ears Lost Boys Fire Brigade Magic Kingdom Paul Pennington Reedy Creek Emergency Services Reedy Creek Fire Department Richard Le Pere Jr. I used to work with Chief Al Hogan after he became semi-retired and became former RCID President Tom Moses’ go-to staffer for special projects and presentations. Originally the station #1 Site was right behind Fantasyland on the corner of Asian Way and World Dr. Those trailers evolved into a steel building with 4 bays and WDW’s first 911 service. Later other stations were built and the Steel building became RCFD’s repair and maintenance facility. Inside the MK is a mini station in the Main St tunnel for Paramedics and two tricked out electric carts to quickly get to guests, help them and if necessary evacuate the guest via the tunnel to a waiting ambulance at the tunnel entrance behind Fantasyland.